Dozens of popular cameras will freeze at high altitude. Cold weather worsens this issue. You can’t just grab any point-and-shoot and call it good! Be sure your camera can stand both the altitude and the extreme weather. Batteries die rather swiftly when you climb up a cold mountain. Depending on what camera you use and how often you use it, you might have to pack more than half a dozen batteries. First, stick the batteries and a heat pack in your pocket to keep the batteries warm. It’s best to keep them in your chest pocket to harness body heat as well. Secondly, keep the batteries out of the camera until you’re ready to use it. The cold chambers of the camera will drain out the battery, even when you have the camera turned off. The best trick, though, is to find a camera that has a long battery life. Then, you won’t have to haul around as many batteries with you. There’s is a reason why most people don’t take a DSLR up to the summit. It’s not usually feasible to carry a heavy camera around with you, unless you’re particularly strong. A DSLR along with its batteries and bag, a large lens, and accessories will add anywhere from four to five pounds to your weight. Since weight is a major restriction, you’ll have to stick with a smaller camera. No matter what kind of camera you want to take, keep in mind the added weight from accessories as well. You also might want to bring a back-up camera for emergencies. If one camera dies, at least you have another. Of course, this will double your camera weight, which means you’ll really have to keep your cameras small. So where does that leave us? Between altitude, weather, and weight, your options are pretty limited. But don’t despair! There are still plenty of great options out there. Read on to learn about the best camera options for Mount Kilimanjaro treks. 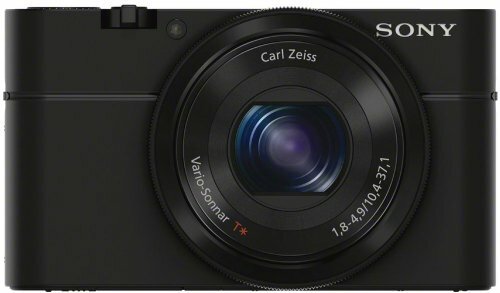 One of the most popular trekking cameras is the Sony DSC-RX100 . Versions I through IV of this camera are all point and shoot cameras. If you’re more of a Fuji person, you can go with the Fuji x30. While you won’t take a big camera up the mountain with you, it’s great to have a DSRL camera for on-the-ground photography. For basecamp photos, a DSRL like Nikon D40X is awesome. Ideally, you have one DSRL and one point and shoot for your trip to Tanzania. Sony DSC-RX100 is one of the better choices among all potential options because of its RAW files. 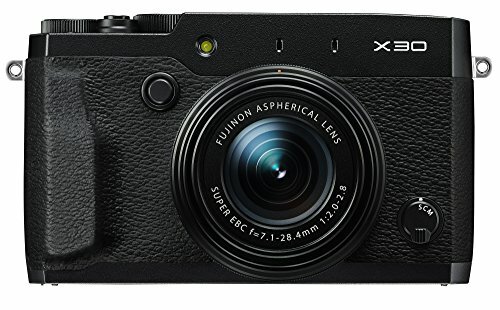 There are four variations of this camera: Sony DSC-RX100, Sony DSC-RX100 II, Sony DSC-RX100 III and Sony DSC-RX100 IV. The main difference between these cameras is the variety of features, which are reflected in the cost. You can choose the one that fits your budget. Fuji X30 is a sturdy camera. It is not very small or particularly light, but it can be carried up to the summit conveniently. The quality of images that the Fuji X30 can shoot is amazing. There is a manual zoom in the camera, which is a life saver for the battery. 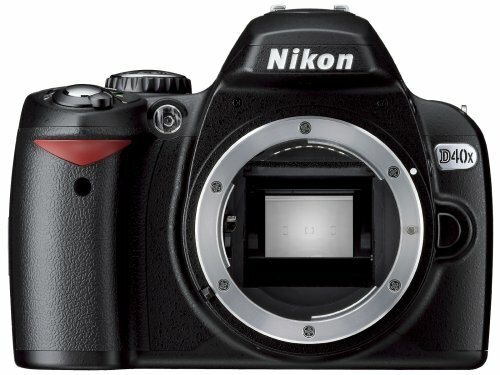 Nikon D40X is the smallest digital single-lens reflex camera from the Japanese brand. It is also one of the lightest among small DSLRs made by any brand. Despite being small and lightweight, it packs enough power with the 10.2MP DX-format sensor. This camera starts up quickly, so you can take a few quick snaps and then keep climbing the Kilimanjaro. The shutter response is instantaneous, so you won’t have to waste time waiting for the shutter to respond between shots. Try to combine a pocketable camera and a DSLR. If you don’t mind the additional weight, then take the DSLR with you to the summit. You wouldn’t be climbing or trekking Kilimanjaro every year. Chances are you would be doing it only once. Train hard and take both cameras to capture the most amazing images you would have taken till then. In addition to your camera, you’ll need to take along some accessories. Be sure to list these and gather them in advance! Batteries. You will need quite a few extra batteries. You should have six batteries per camera, but take more than you plan on using. You may also want to take along a small bag for battery storage. Make sure you get batteries that are ideal for altitude and cold weather. These will be slow-draining batteries that are well-made. Lenses. If you do go for a DSRL camera, or at least use one at base camp, be sure to pack an extra lens or two. I always carry a short-range lens and a telescoping lens with my DSRL camera. Consider the Canon EF 16-35mm f/2.8L Lens and Canon EF 70-200mm f/4L IS Lens. You also might want to get a Singh-Ray Vari-ND or another Variable Neutral Density Filter. Bag. Keep all your camera equipment in one place with a bag. It’s a good idea to get a bag made specifically for camera storage, since these are made to protect your camera. Consider a Lowepro Outback 200 Modular Beltpack. It will make carrying the cameras, batteries and accessories much easier. You will also have easy access to everything, so you can be quick on the draw when you see something worth capturing. Avoid using the LCD or LED display in the camera. Use the viewfinder if you can. All the automatic, convenient camera options will drain your battery, so stick with manual use as much as possible. If you are using the screen, then turn down the brightness. Use manual zooms even if your camera has motorized zooms. Turn all auto functions off. Be careful not to fog the view finder when you bring out the camera from the bag. A sudden change in temperature can make it hard to see through your camera.